Montreux (Switzerland) (AFP) – Folk rock icon Neil Young will top the bill at this year’s Montreux Jazz Festival, as its celebrates its 50th edition with other big names including Deep Purple and PJ Harvey, organisers said Thursday. The programme for this year’s festival, which kicks off on the evening of June 30 and runs through July 16, “has been drawn up to echo the festival’s layered history, dense and lively,” festival director Mathieu Jatton told reporters. “We are thus presenting today’s big names, but also friends of the festival who have helped make it great,” he said. Montreux has over the past half century become a magnet for big names of the music business and rising stars alike. It has retained its jazz label despite dramatically expanding its repertoire over the years. 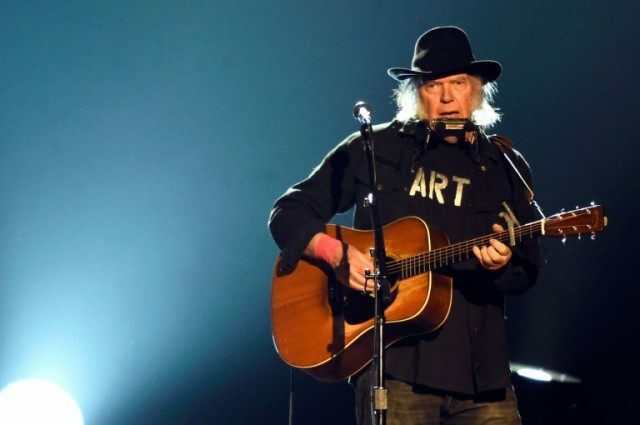 This year, Canadian singer-songwriter legend Neil Young will be one of the top attractions when he hits the main stage on July 12, 15 years after his only previous appearance at the festival. He is joined on the marquee by other industry giants like British experimental rocker PJ Harvey, who is set to release a widely anticipated new album Friday, and US punk icon Patti Smith. The 2016 edition will also feature US rock band ZZ Top, with their recognisable long beards, and Northern Irish singer-songwriter Van Morrison. Legendary American producer and composer Quincy Jones will also be there, as will British soul and pop band Simply Red and archetypal guitar hero Carlos Santana. Also on the ticket is influential English hard rock band Deep Purple, who have a deep connection to the festival. The band’s iconic “Smoke on the Water” tells the story of a fire that took place during a Frank Zappa concert at Montreux in 1971. Festival founder Claude Nobs, who died in 2013, rescued a number of people from the flames and was immortalised in the song as “Funky Claude”. Fans of the festival’s original jazz genre should not be disappointed either, thanks to performances by stars like American jazz musician Charles Lloyd, who headlined the first ever edition of the festival in 1967. Legendary jazz pianist Monty Alexander will also be there, as will Alfredo Rodriguez, a Cuban Quincy Jones prodigy considered the new prince of piano jazz. “This anniversary is the occasion to underscore what drives the Festival: an insatiable desire to ‘be there’, up close and personal, under the spell of music,” the organisers said in a statement.